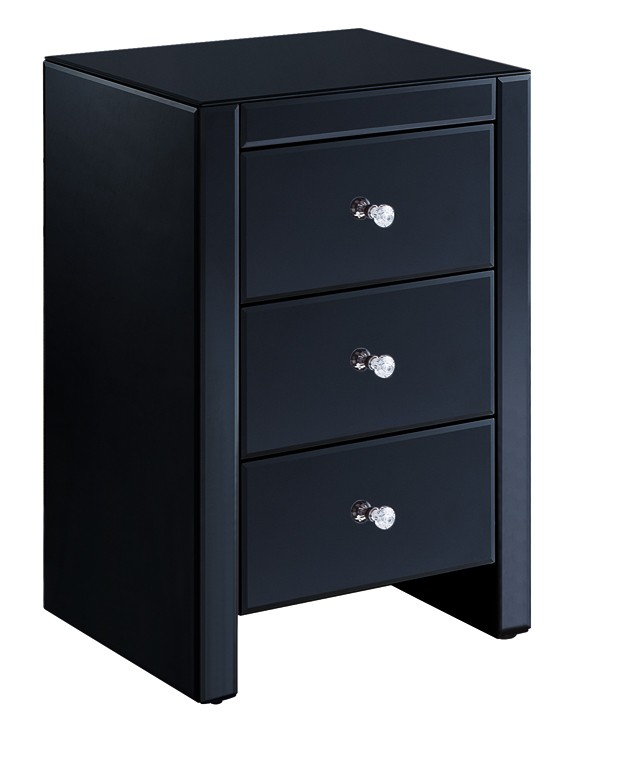 A wonderful way to create the perfect setting to get you up & ready in the mornings is the Black Mirrored Dressing Table Set! 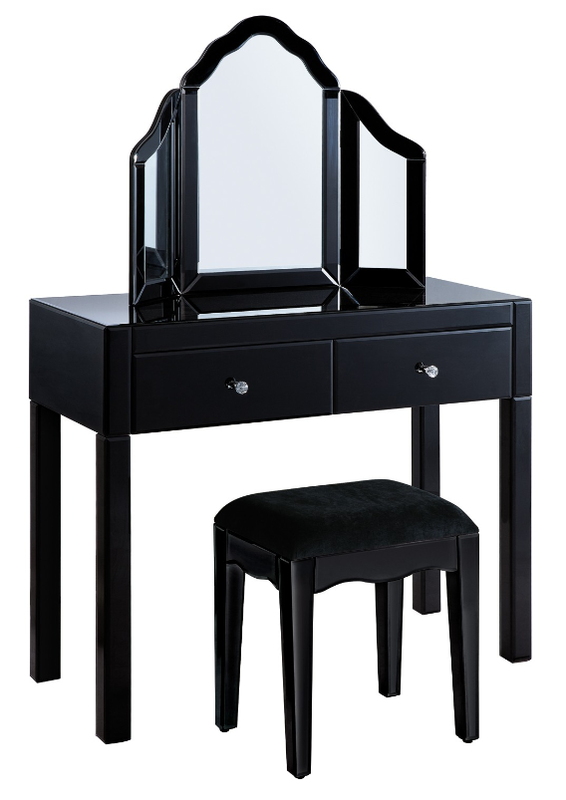 This luxurious set includes the chic dressing table, the elegant mirror and stool. 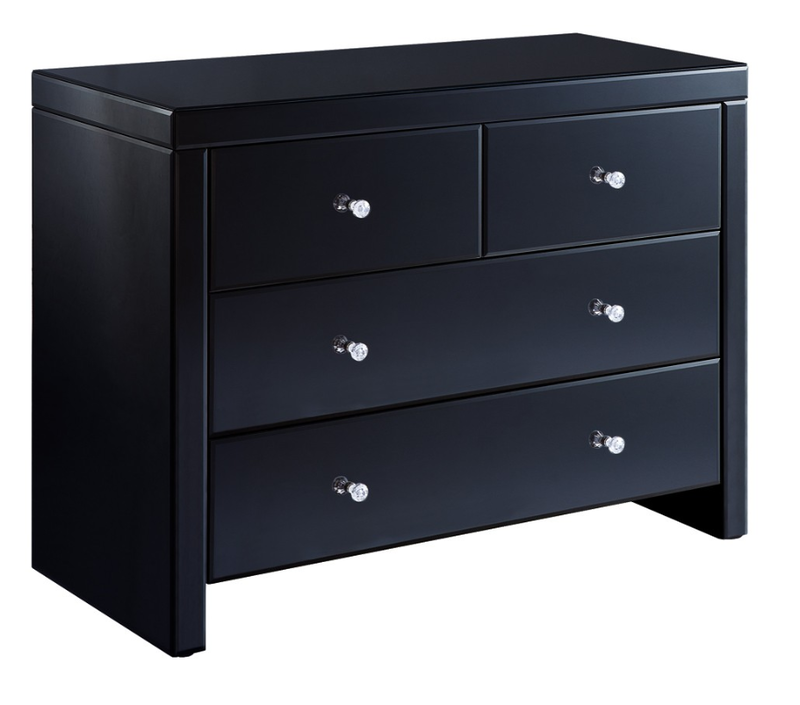 Featuring the glamorous black mirrored design, completed with the crystal style handles to create a fabulous dressing table set that will sit in style in your Bedroom. 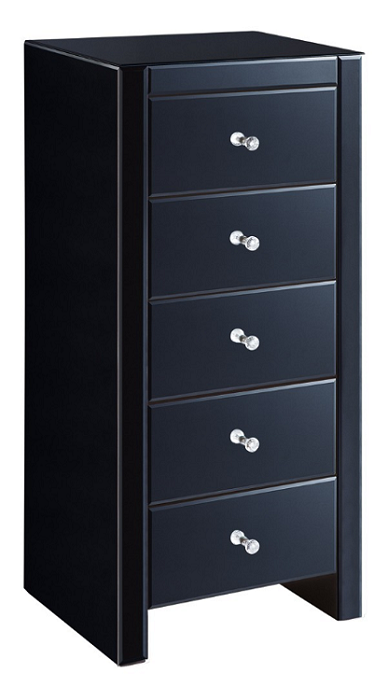 The sophisticated dressing table provides counter top space to place your mirror and favourite jewellery, perfume or hairbrush, whilst also providing 2 handy storage drawers to hide away additional make up and other items.